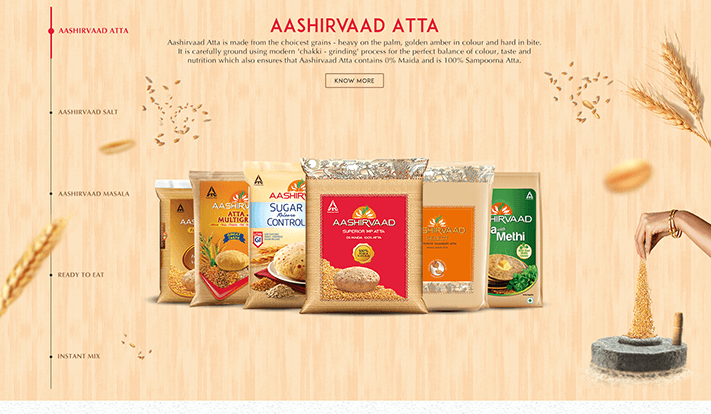 A brand from the prestigious FMCG group- ITC Foods, Aashirvaad as a brand is synonymous with the word atta in the country. 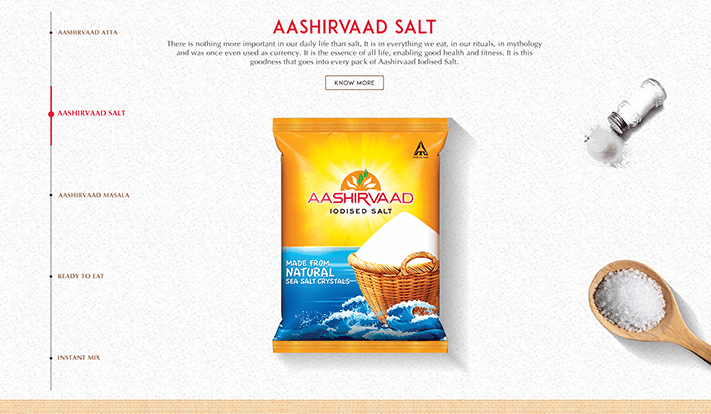 Right from sourcing all-natural ingredients to using the latest technology to upgrade packaging, Aashirvaad is a brand committed to excellence. 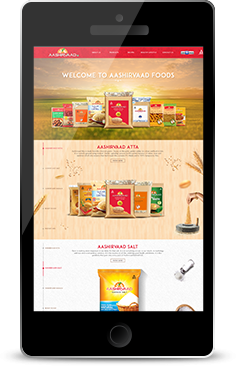 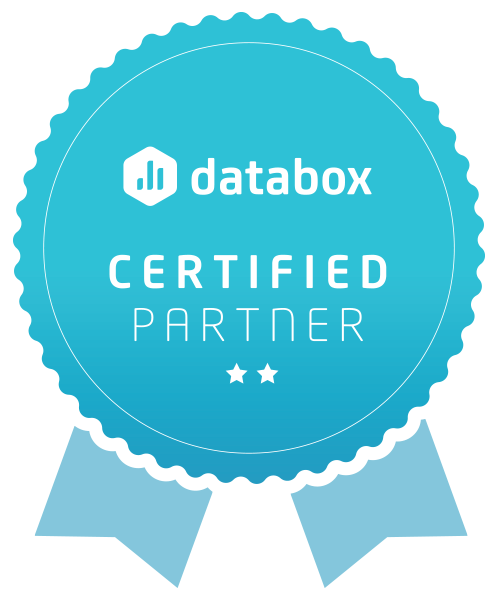 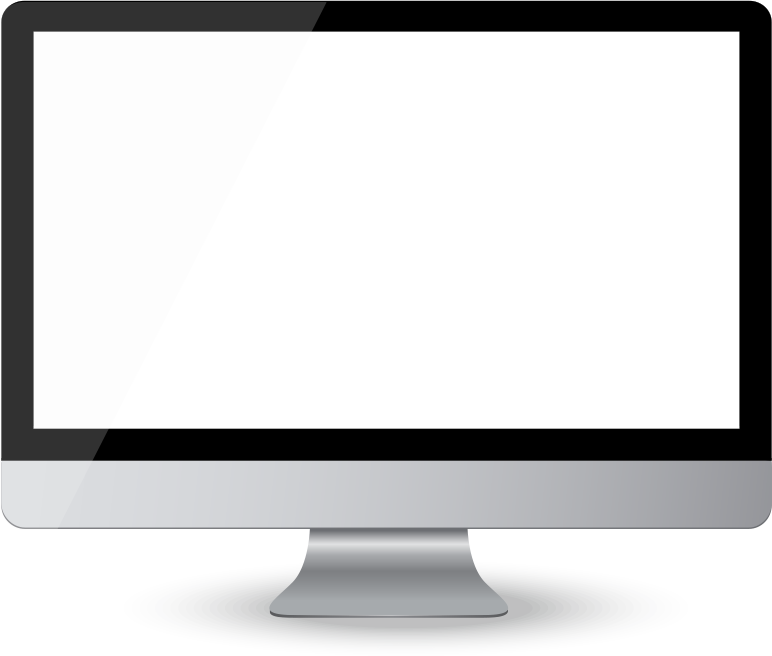 This penchant for perfection also had to reflect in their website, which we designed and developed from scratch. 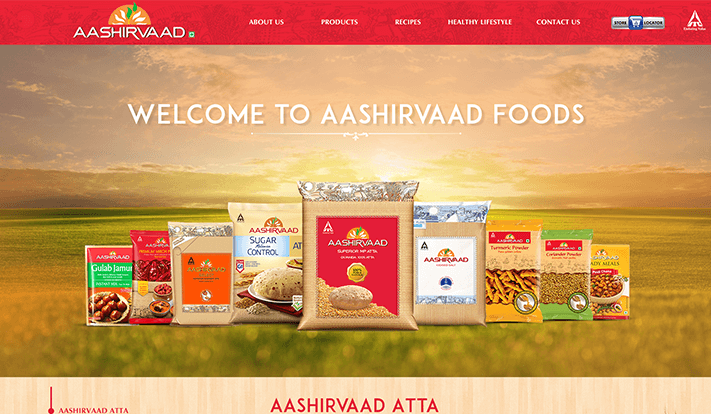 A true trailblazer in the industry, Aashirvaad has a website like no other. 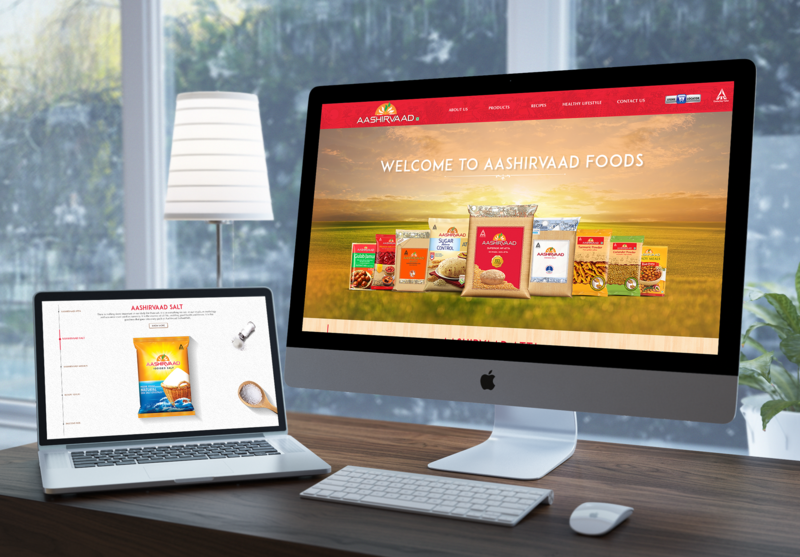 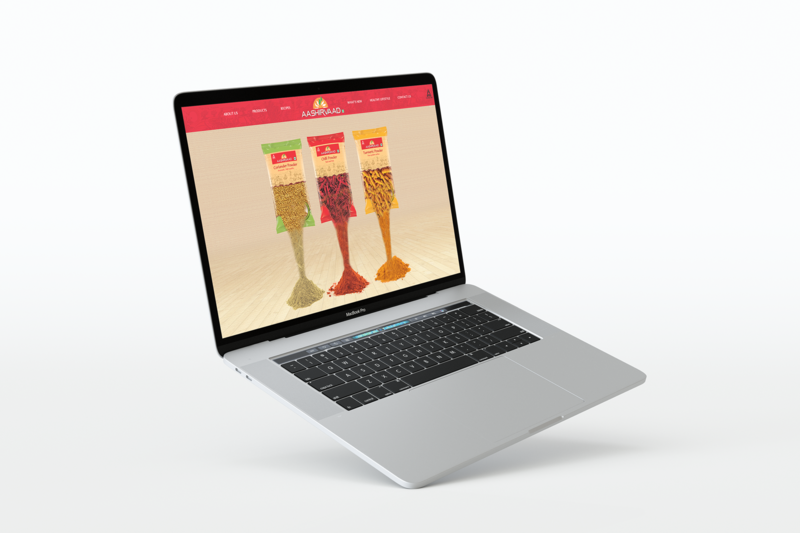 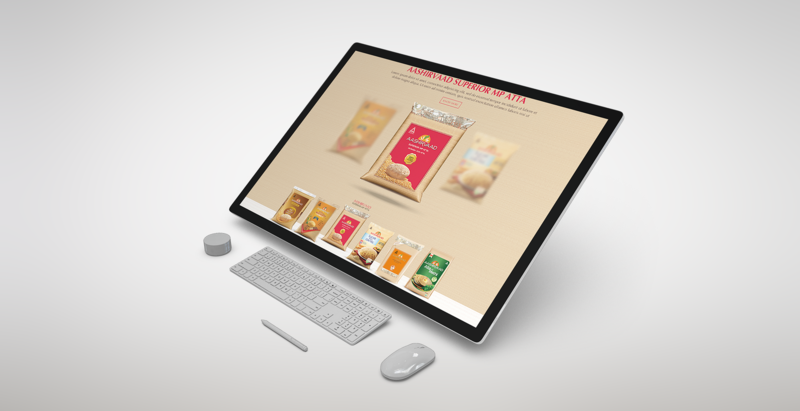 With parallax effects, great photography and synergetic branding- the website oozes the natural and healthy positioning of the brand without compromising on showcasing the range of products available to increase top of the mind recall.